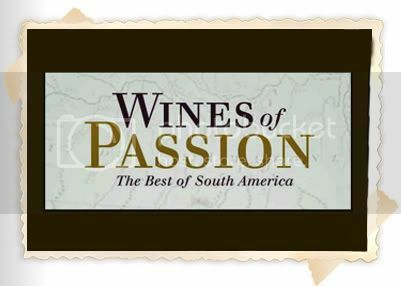 Wines of Passion: The Best of South America: WHAT I AM DRINKING TODAY, APRIL 27, 2011. I brought some wine down to visit my friends in Key West, Florida. They prepared some terrific Grilled Gulf Pink Shrimp and we decided to go red, big red, some of my favorite Chilean reds: Carmenere! I believe that Carmenere is the next big thing in the wine world and is already attaining a growing fan base among cognoscenti. At my wine tastings, I always have a Carmenere, usually with a grilled “linguiça”, a wonderful pairing for a wine tasting event. This time I brought 3 different Carmeneres, in region, in style and in price. All three stood up extremely well, although all three have different styles. Frankly, I was surprised how well the less expensive ones compared, so I went back many times to compare the tastes, aromas, finish and was extremely pleased to find that they all had their magnificent, individualistic style. 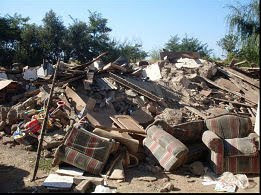 Natura Carmenere is produced from an organically grown farm by Emiliana, a wholly owned subsidiary of Concha Y Toro. Retailing under $10, Natura is a very special wine from Colchagua Valley. Like all Carmenere, it is a big wine. As produced by Emiliana, its corpulence is subtle, but strong with lots of spices and an incredibly satisfying finish. There is a minimum of oak influence and the Carmenere is nicely balanced with characteristic mineral overtones. This wine is special and very affordable. But let me emphasize that if the price were doubled it would still be worth it. A fabulous wine in all aspects. Casa Silva Carmenere Reserva comes from different estates and is a rich, corpulent wine that is partially (about half the grapes) aged in French oak for 6 months. Somewhat darker, it is a dense well balanced wine that is filled with herbs and spices. A little more complex than the Natura, it is a work of art as it does not depend on oaking for its long, delicious finish. At under $15, it is a fabulous addition to any wine cellar. Terrunyo Carmenere is velvety smooth and drinks like a top notch Bordeaux. WARNING: If you collect expensive Bordeaux wines, do not blind taste them against this Terrunyo as you may want to go out and sell the Bordeaux immediately. This is an incredibly smooth and long finish, full of finesse and style. Unlike the other two above, some 7% of the wine is from other varietals like Cabernet Sauvignon, Petit Verdot and Cabernet Franc. Under $50, I love to challenge my friends to a wine tasting with it—it never loses. 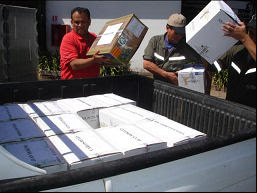 None of these Carmeneres have any thought of under-ripeness, for which some experts criticize Carmenere. All of the above wines are special, individualistic and without fault in my opinion. It was very satisfying to see the first two hold up well after having the great Terrunyo and its incredibly smooth, long finish. Chile must do more to get the word out about these terrific wines! !